Once again, the ASGA will be hosting its Annual General Meeting at the River Cree Resort in January. Those involved or invested in aggregates are invited to join the association for a two-day program that includes updates on government and policy, environmental and safety issues, industry technology and association business. 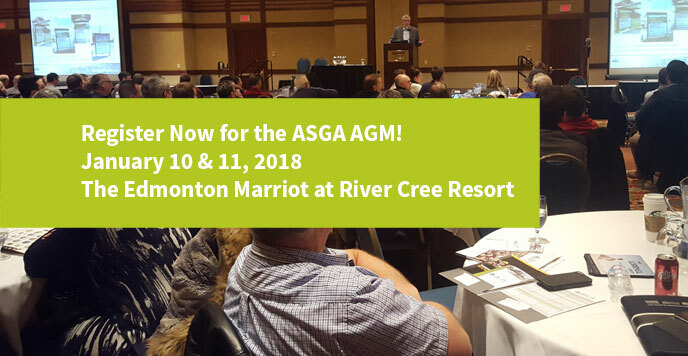 The ASGA AGM is an excellent opportunity to interact with association members, your board of directors, office staff, committee members, trade show exhibitors and key stakeholders within the sand & gravel industry. You can learn more about accommodations, sponsors, and trade show exhibitors at ASGA.AB.CA. Register today by Booking Online. If you would prefer to mail or fax your information, please download a Registration Form and return it to the ASGA office. The Marriott is offering a special group rate of $159 per night (plus tax) for our AGM attendees when you book before Tuesday, January 2nd, 2018. Reservations and payment arrangements must be made directly with the Marriott. Please identify yourself as being an AGM attendee at the time of booking. Did you know that for straight gravel hauls with minimal traffic, the price of aggregate increases $0.15 per tonne for every mile from the extraction site? Close to market reserves is one way the aggregate industry reduces environmental footprints and risk of accident.